You’re curious? Sweet. Let us introduce ourselves. This project came into fruition from a convergence of our values, desires, and ideas: we value the Deaf community and American Sign Language; our desire to see the unification of Deaf community; and our ideas of creating messages and setting up a space to share these messages with everyone. There were many late night (around the clock actually) talks. Those talks made us realize we needed something tangible. And thus, KISSFIST DEAF, was born. KISSFIST DEAF is a place for anybody and everybody to make their ideas into something they can wear and share. With your support, we are able to invest towards the betterment of our community. Whether it be through publishing literature, in ASL and/or English, posting vlogs, selling apparel, Deaf-created art, and most of all, sponsoring a variety of Deaf-owned organizations. We have proudly partnered with Route 66 Promotions – a Deaf-owned and Deaf-run company – to produce our designs for you to wear. 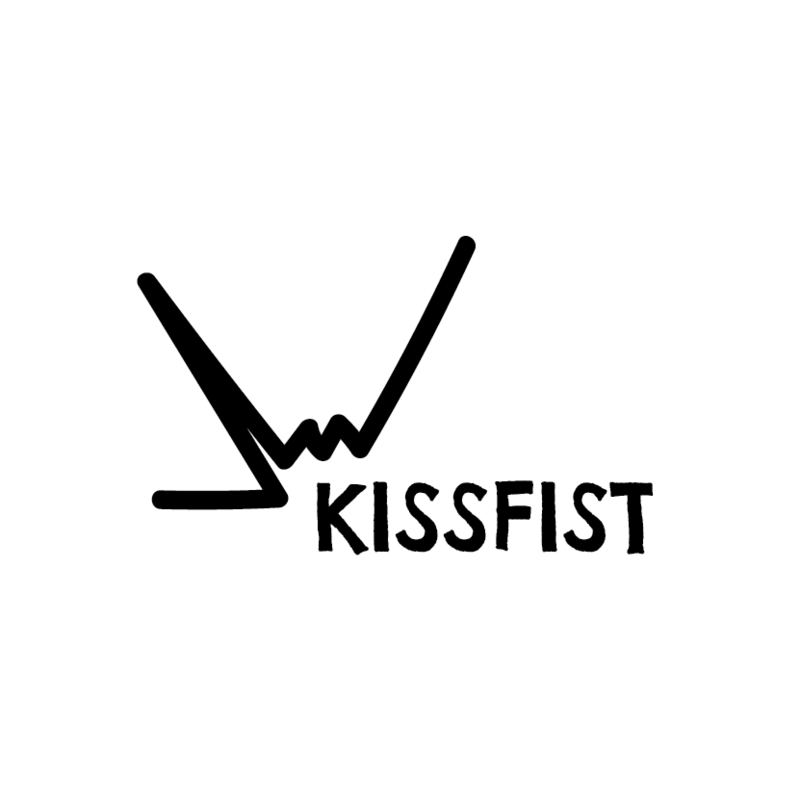 We look forward to developing a Deaf ecosystem through the growth of the KISSFIST DEAF brand. Gone are the days you wear ASL-related shirts from VRS companies, Deaf schools, and Deaf clubs. It is time for ASL to have its very own brand. It is time for you to wear them proudly! Megan (call her Meg) is the passionate enabler and the chief designer. Scott (call him Scotty) is the distracted dreamer and the chief developer. Super nice to meet ya!